When one of the hottest artist brands in dance music aligns with one of the world’s most beautiful concert venues, you’ve got the recipe for an event that’s truly monumental. 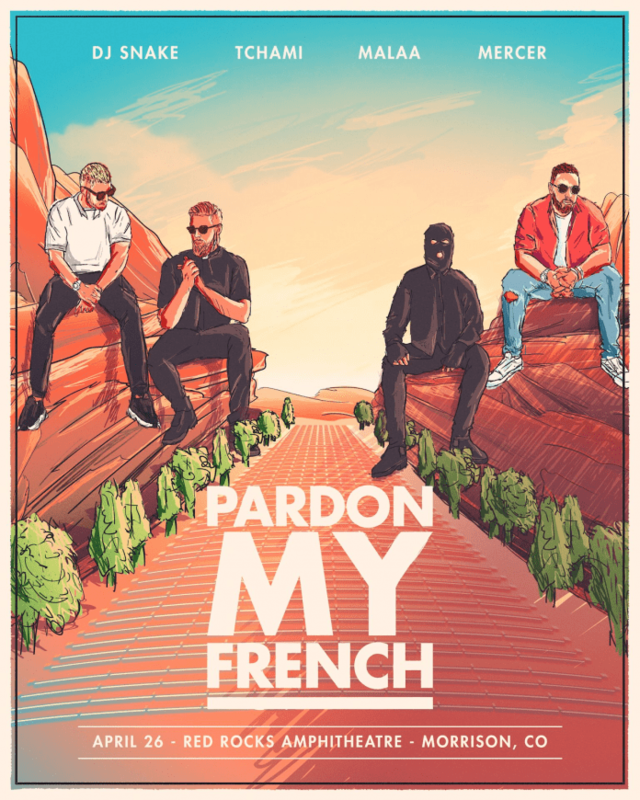 This is certainly the case when Pardon My French – a collective of French DJ/producers DJ Snake, Tchami, Malaa and Mercer – join together for the first time since 2016 at the famed Red Rocks Amphitheatre in Morrison, Colorado on April 26. Red Rocks Amphitheatre is a geological phenomenon – the only naturally-occurring, acoustically perfect amphitheatre in the world. In over 75 years as a performance venue, Red Rocks has hosted some of the most significant artists in music ranging from The Beatles, Jimi Hendrix and The Grateful Dead to Radiohead and Daft Punk, among many others. You’d be hard pressed to find a more idyllic location for a night of the best that French electronic music has to offer.